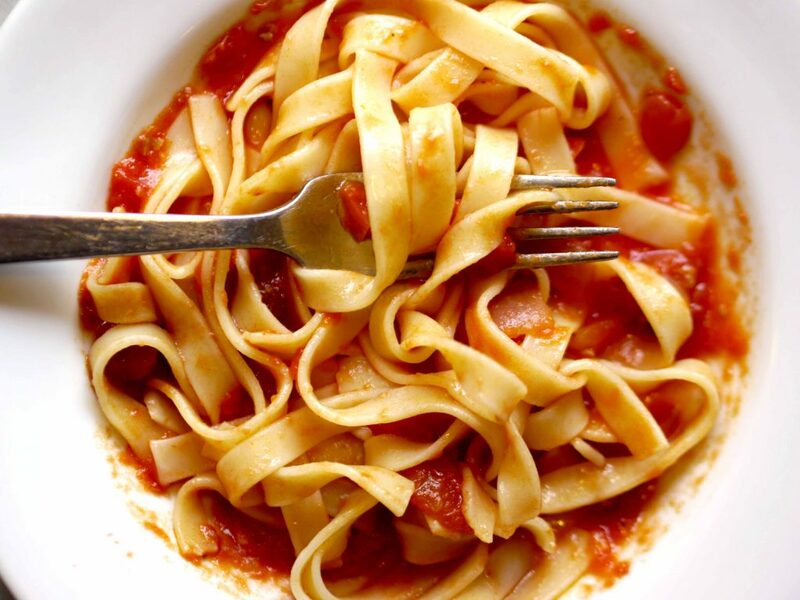 This is a simple tomato and pasta dish that dates back to the classic Italian cookbook, “The Art of Eating Well,” published in 1891 by Pellegrino Artusi. 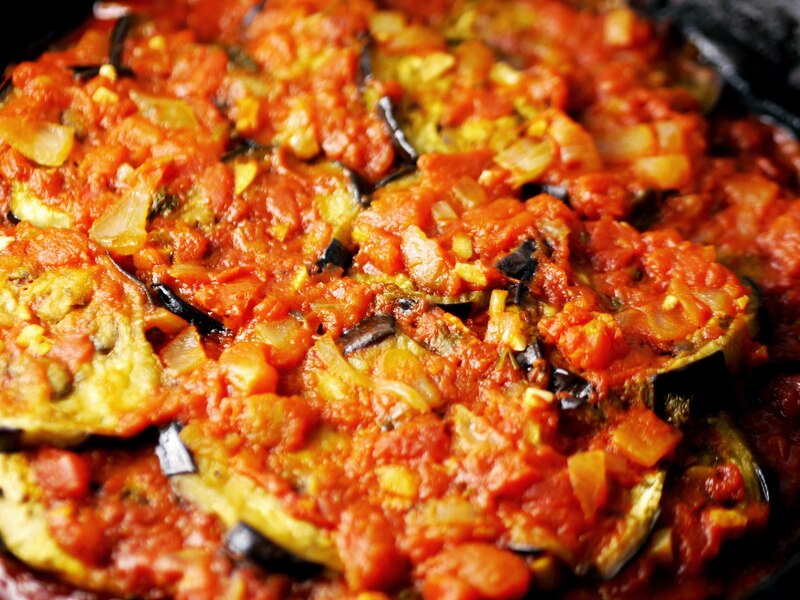 Artusi travelled throughout Italy collecting the best family recipes from each region. 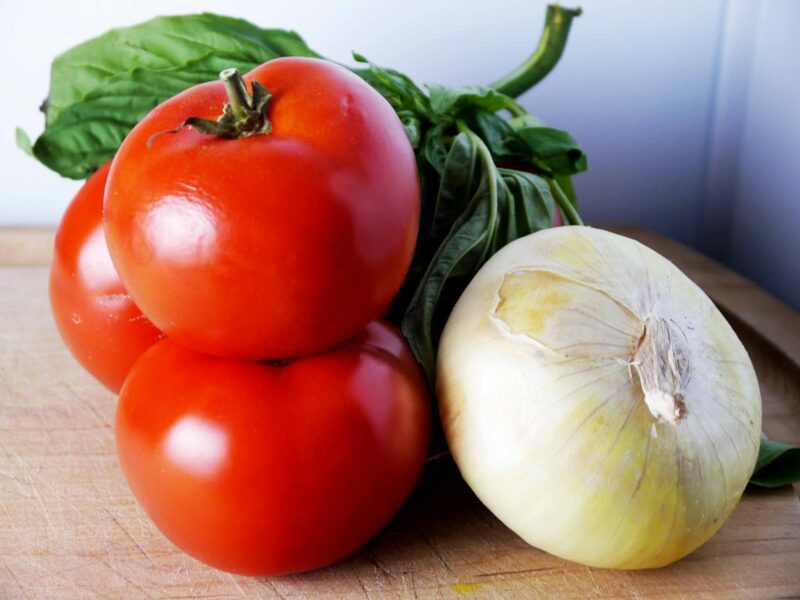 These are only three ingredients for this sauce: tomatoes, basil and onions (and you discard the onion after frying it until brown). All three are cooked in olive and butter. 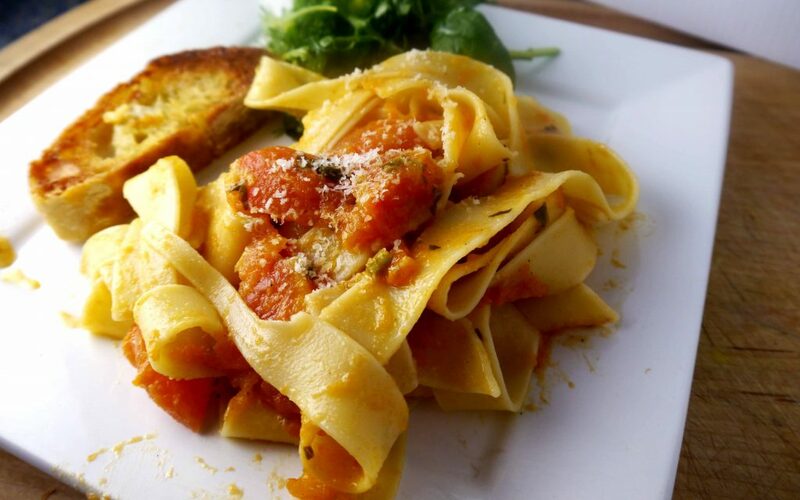 You can use whatever type of pasta you like, but it should be one that absorbs the sauce well. 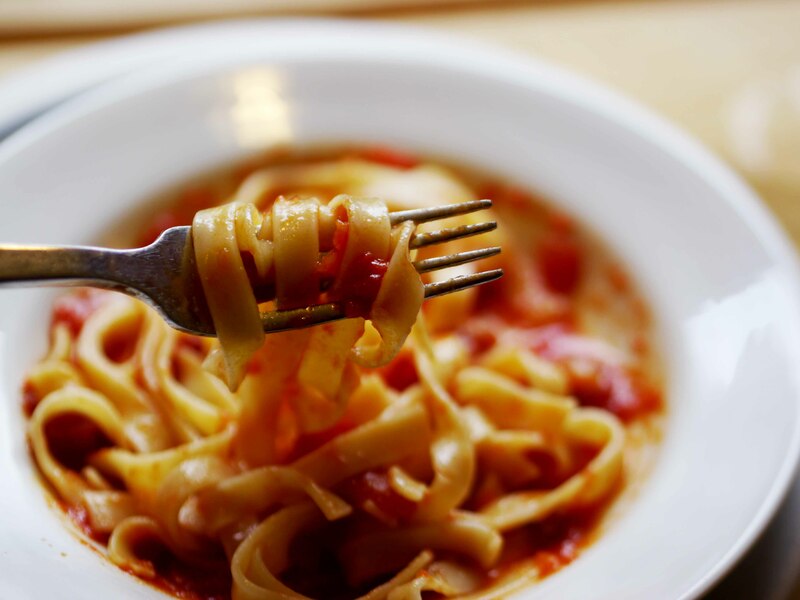 So textured pastas, tubular pastas, and large fat noodles work well. 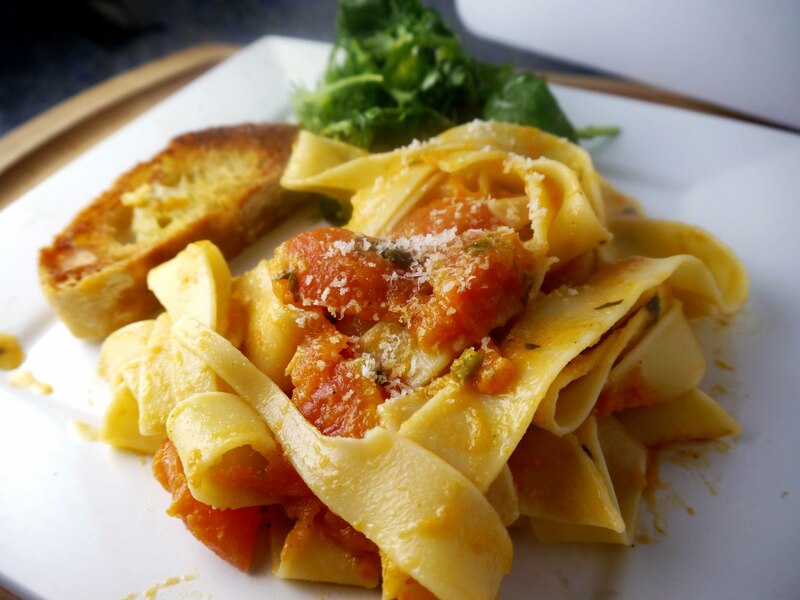 I used some pappardelle but I’ve also used penne in the past and both work well. 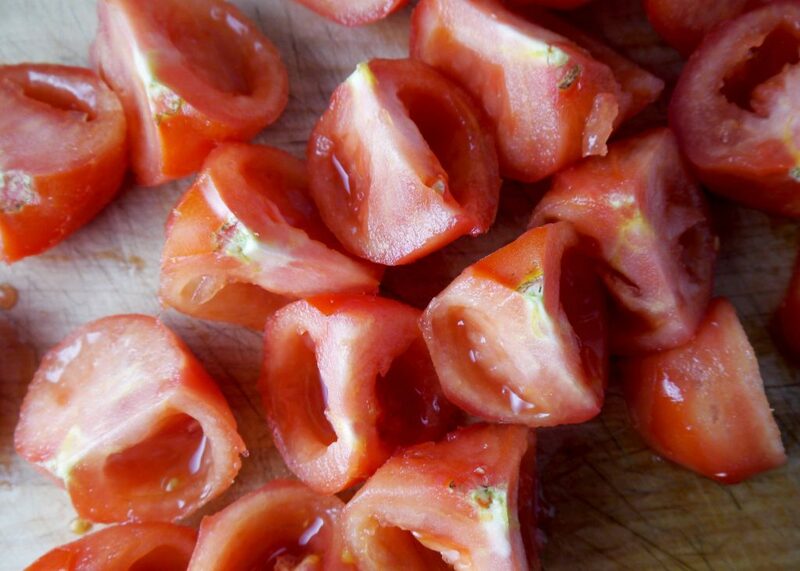 Peeling, chopping, and deseeding the tomatoes is the most work needed for this dish. 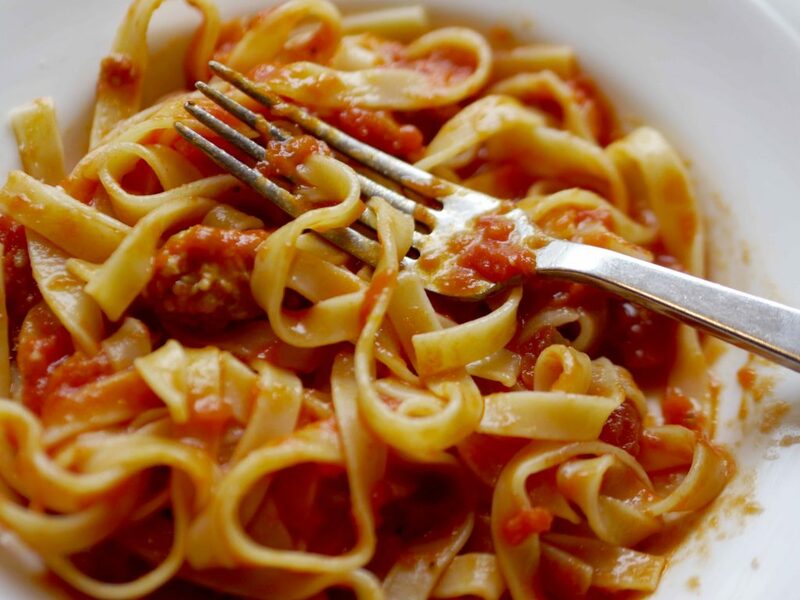 This basic sauce is made by cooking tomatoes and although fresh tomatoes from a garden would be best, I used what I could find in February in Boston (rubbery tomatoes sold on the vine) and it still came out delicious. 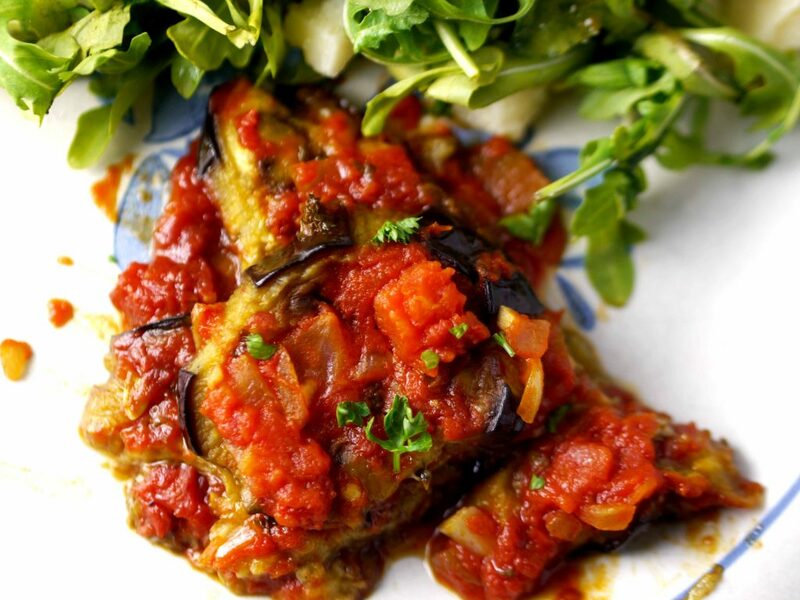 The recipe creates a light, but flavorful, tomato sauce that tastes fresh. The sauce is simple to make but takes a little work as you have to peel the tomatoes and then take the seeds out. I found using this vegetable peeler to be much easier than trying to peel the tomatoes with a paring knife. This old classic is quick, easy, and delicious: perfect for a weeknight. This recipe is what Rootsliving is all about. It’s an ethnic recipe from the past that is tried and true, and simple. Buon Appetito! Step 1 Saute onion in two tablespoons of butter and 2 tablespoons of olive oil. The onion will split into rings as it cooks. When it browns, press it down with a spoon and then discard. Step 2 Stir in the tomatoes. Add basil, salt and pepper. Step 3 Simmer until done. About 1/2 hour or until it’s not watery. Step 4 Cook pasta until al dente. Add sauce, 1/2 stick of butter and grated parmesan cheese. Serve with garlic bread and a salad, if you like. These are so delicious they’re an act of love. Like all good things they take a little work but aren’t the loved ones in your life worth it? 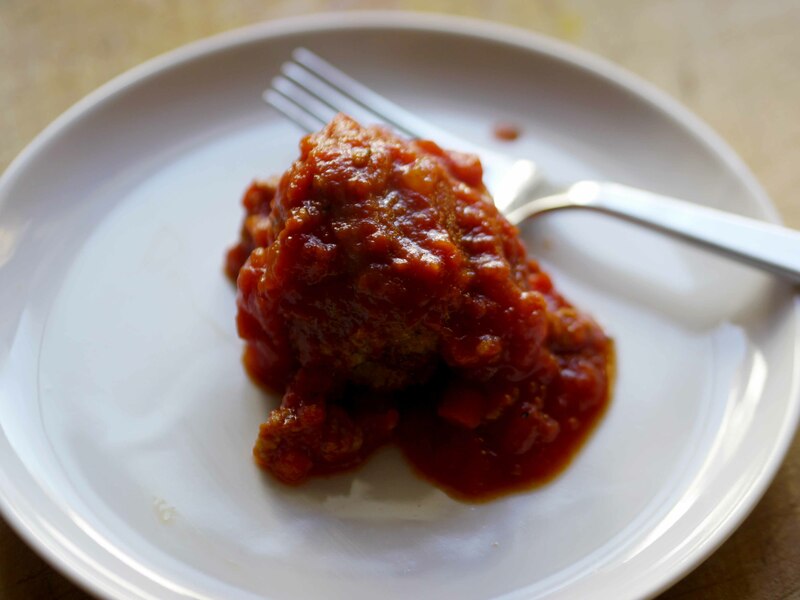 Restaurant owner and cookbook author Biba Caggiano has the best recipe for meatballs or polpette (as the Italians call them). Dipping them in egg and breadcrumbs is a little time-consuming but so worth it. 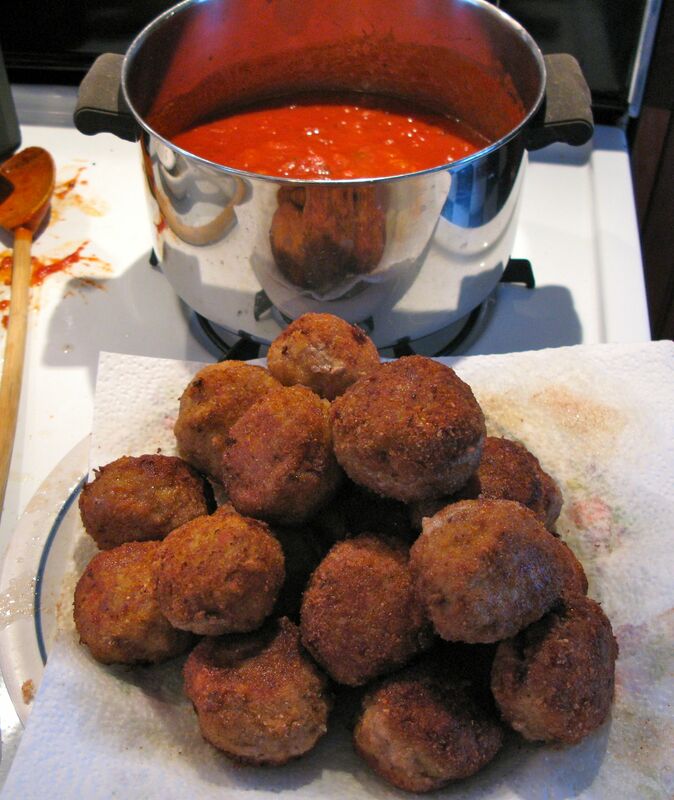 What makes them truly great and different is that she uses a variety of meats, including mortadella, and each ball is dipped in egg and breadcrumbs before fried, giving them a tender crust. Waxed paper on a cookie sheet provides a good waiting area for the uncooked meatballs. 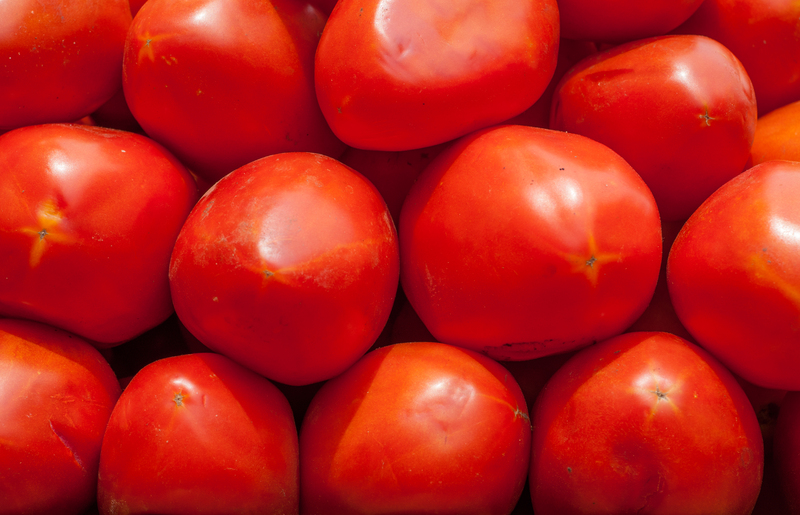 They’re so delicious you can eat them plain, without tomato sauce. But I like them with a light sauce: one that isn’t overcooked and where you can taste the fresh tomatoes. Fry them in about a 1/2-inch of olive oil, being careful not to let the oil smoke. I also deviate a little from her recipe by adding some ground beef. 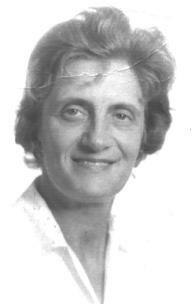 Biba’s mother’s recipe just uses the following meats: ground veal, pork sausage, and mortadella. You can serve them just like this. 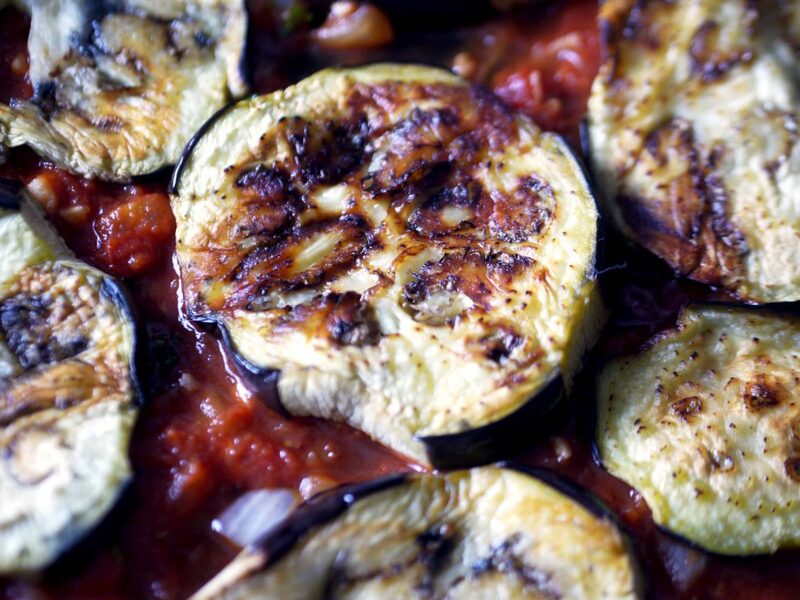 Or you can put them in a large pot of your favorite tomato sauce over low heat and cook them a little more. 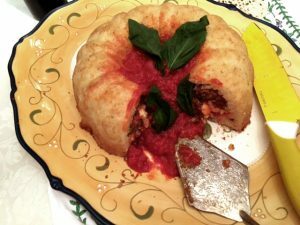 You can use this tomato sauce recipe (adapted from my mother’s recipe) but I’d omit the sausage and possibly add a fresh tomato, chopped fine, or a can of diced tomatoes to give it a fresh taste. Stir occasionally being careful not to break apart the meatballs. Serve this and it will strike a chord in the hearts of people you love, stronger than an arrow from Cupid’s bow. These take a little time and effort to make because you need to dip them in eggs and breadcrumbs before frying. Step 1 Remove crusts from bread and soak in milk for about 5 minutes. Step 2 Drain the bread and squeeze out as much of the milk as possible. Add the veal, beef, pork, mortadella, nutmeg parmesan cheese, and 3 eggs. Season with salt and pepper and mix until combined well. Step 3 Take a small amount of the meat mixture and shape it between the palms of your hand into a ball about the size of small egg. Place on a plate and continue to do this until all of the meat mixture is used. Step 4 Lightly beat the remaining 3 eggs in a bowl. 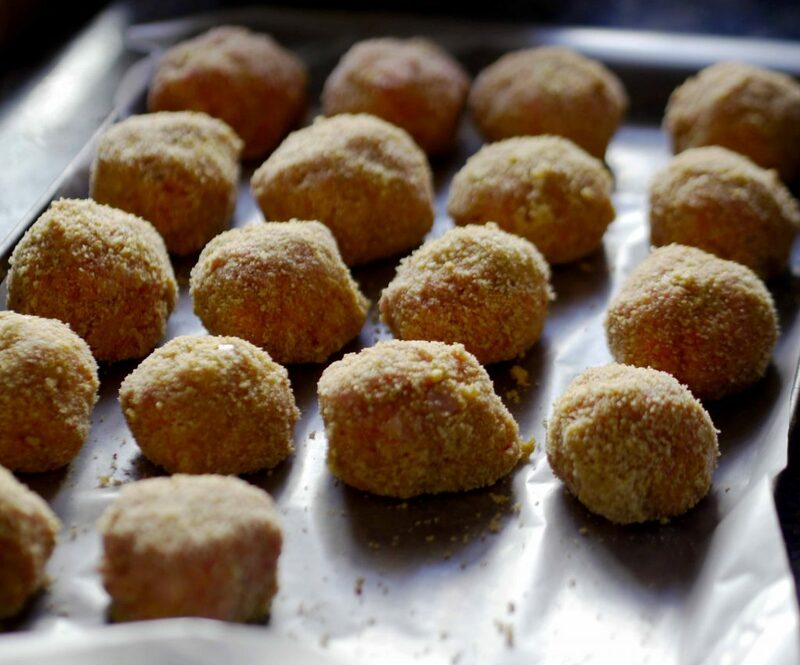 Dip the meatballs in the egg mixture and then roll them in the breadcrumbs. 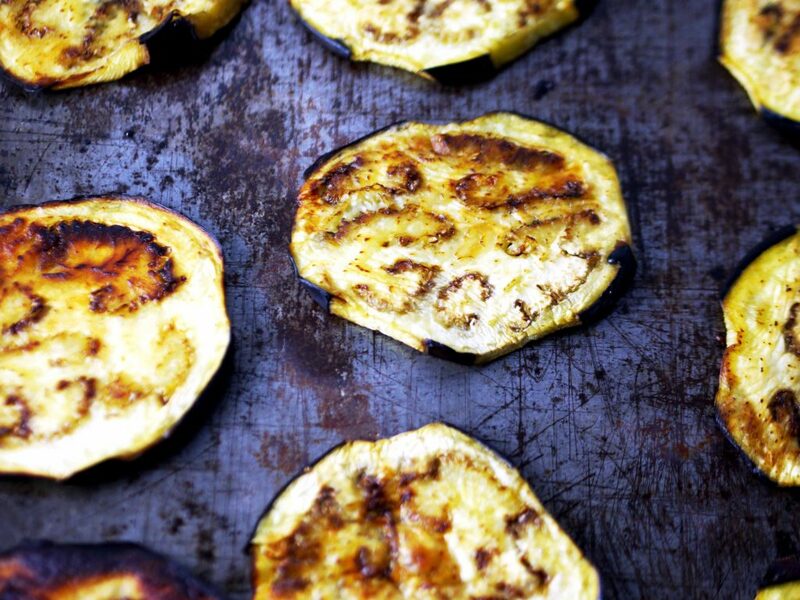 Flatten them slightly with the palms of your hand and put them in a single layer on a cookie sheet or large platter. They can be refrigerated for several hours. Just be sure to tightly cover them with plastic wrap. Step 5 Heat an inch of oil in a medium heavy skillet over medium-high heat. 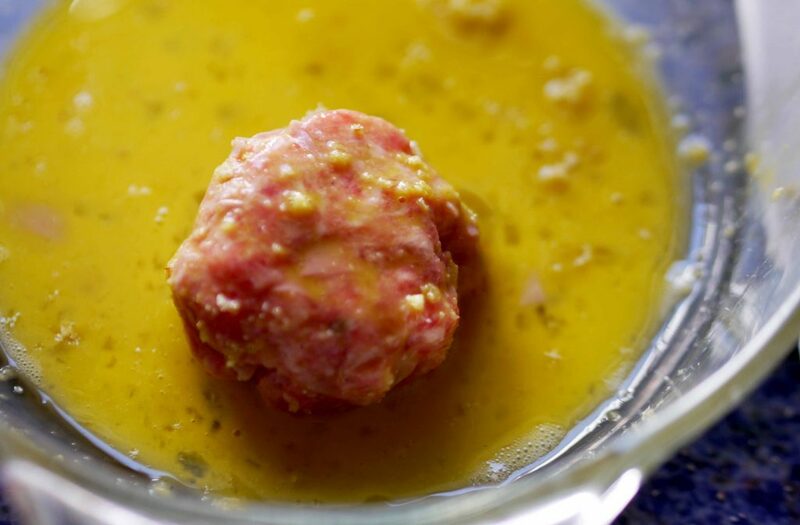 As soon as the oil is hot, lower the meatballs in batches with a slotted spoon. Do not crowd the pan as this will cause them to cook unevenly and burn. When they’re golden on one side (about 1-2 minutes), turn them over and brown on the other side. Once they are cooked through, transfer them to a dish or platter lined with paper towels to drain. 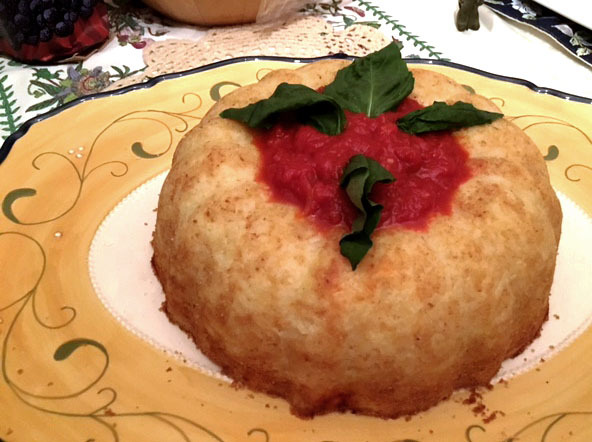 This simple recipe comes from the classic nineteenth-century Italian cookbook, the Artusi. Although it’s a bit more complicated and time-consuming than opening up a jar of sauce, it’s still pretty simple and quick to make. 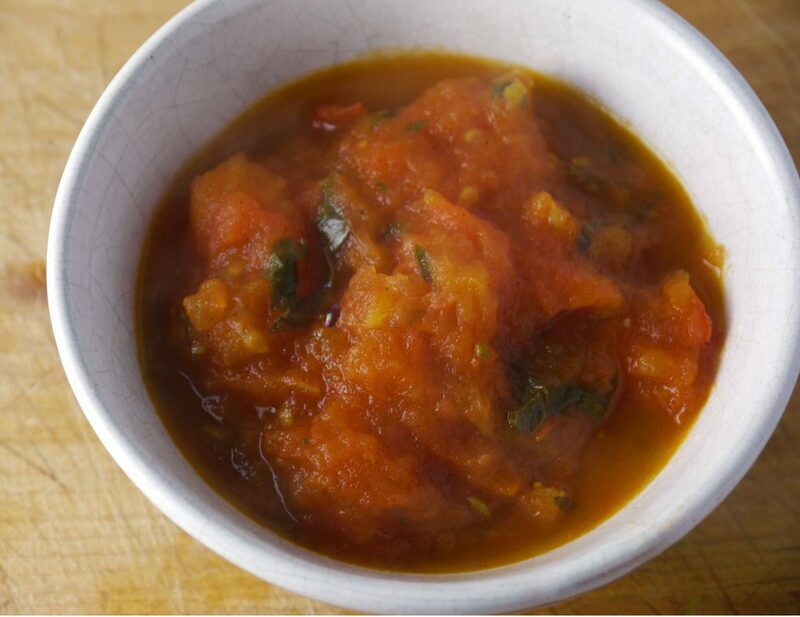 And it’s definitely worth the effort as it creates a very plain, simple tomato sauce that you can use in a variety of dishes. Step 5 Puree the tomatoes in a blender or food processor. 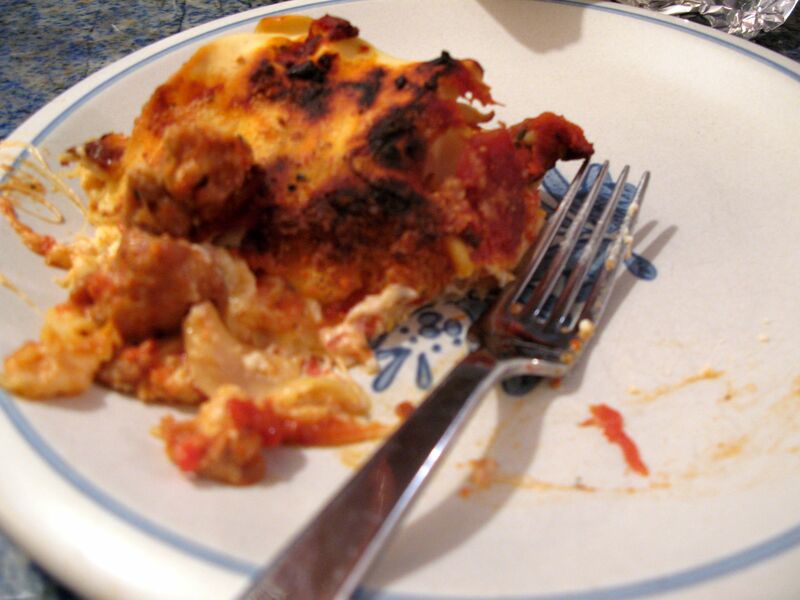 This lasagna has a crunchy top, but a soft middle. 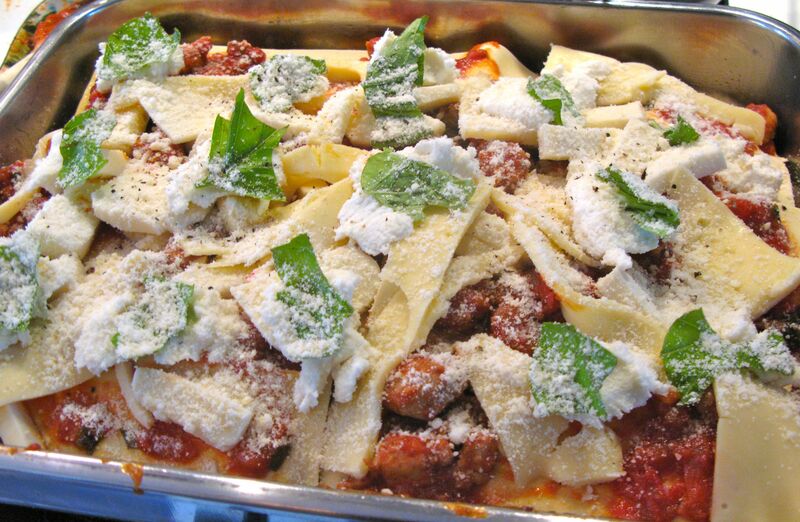 Chef Todd English makes a good lasagna. I still remember one I had at his Olive’s Restaurant in Boston that was made with veal. He has a knack for taking an old standard and then being innovative, without being preposterous, paying more attention to the flavors of a dish than the flair. 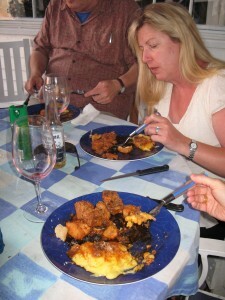 On Sunday I made one of his lasagnas from his other restaurant, Figs. Figs is more casual and family-friendly, and so is this lasagna. 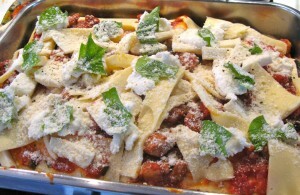 He deviates from the traditional lasagna recipe by using no-boil noodles, Fontina cheese and fresh mozzarella. But I have a confession to make: I bought the standard, rubbery, mozzarella by mistake, instead of the fresh balls of mozzarella, and the result was still very good. Add oil to a large skillet over medium heat. Add garlic and toast it for about 3-4 minutes. Add the onion and cook until golden, about 3-4 minutes. 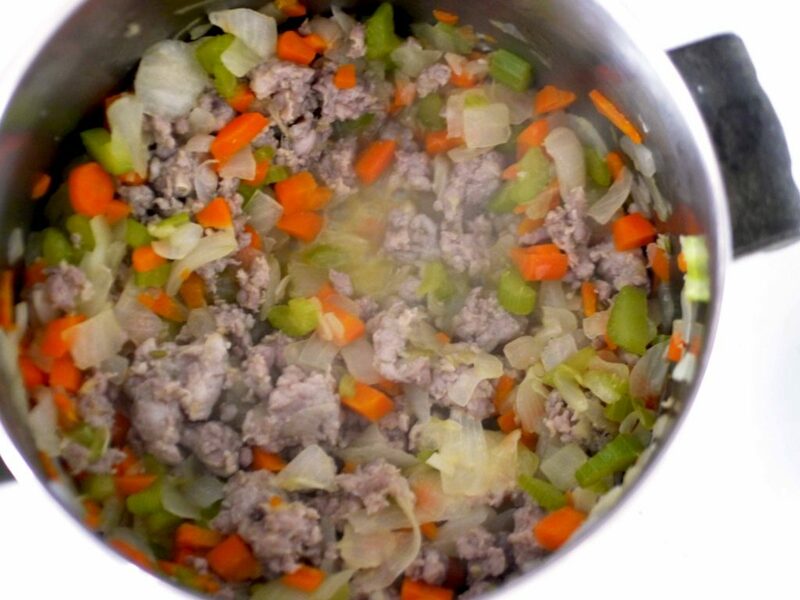 Add the sausage and cook until fat is rendered, about 10 minutes. Add salt and pepper and discard any excess fat. Add the tomatoes and cook for 30 minutes. Add the basil and cook until the mixture begins to thicken, about 10 minutes. Fresh basil adds a bright lift to the flavors in this dish. Put a light coating of olive oil on a 9 x 12 roasting pan or lasagna pan. Fill a large bowl with hot water. Dip the noodles and then drain. Spread some sauce over the noodles. Top with small dollops of Ricotta cheese. Place pieces of fresh basil on top. Sprinkle lightly with parmesan cheese, salt and pepper. Top with a thin layer of tomato sauce. Sprinkle lightly with parmesan cheese, salt and pepper. Bake in the oven until golden brown, hot and bubbly, about 45 minutes to 1 hour. 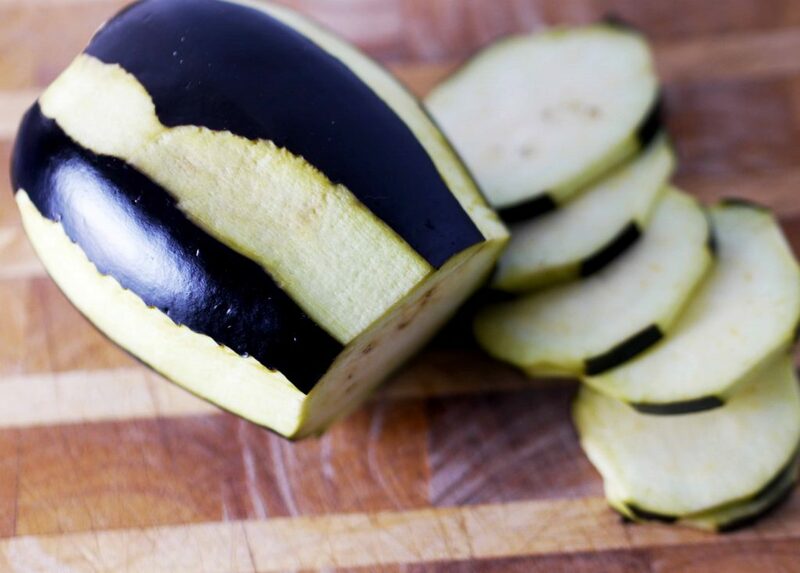 Serve immediately or put in refrigerator to eat later. This lasagna took a few hours to make but was easy. 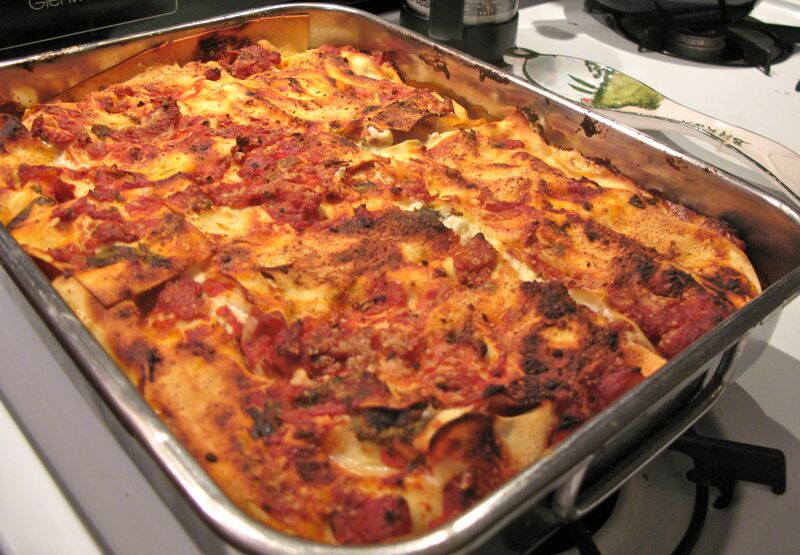 Lasagna often takes best the second day. To reheat, put in a 350 degree oven and cook until heated through, about 30-40 minutes. Here’s my standard tomato sauce recipe. I got this from my mother who was an excellent cook. I’ve changed a few things over the years, adding touches of my own and some embellishments from my cousins in Italy. Italians never drown their pasta in tomato sauce. Instead, they coat it with a thin layer. 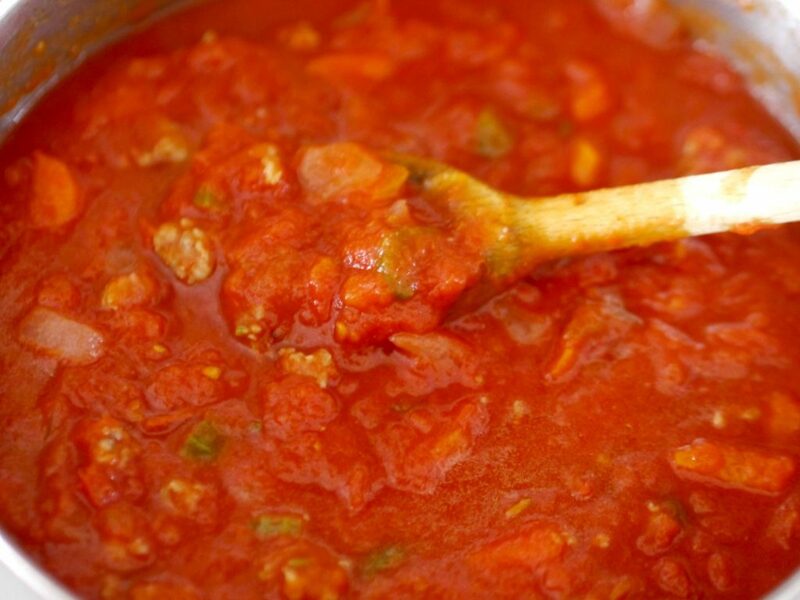 This sauce can be used on most anything that requires Italian tomato sauce. 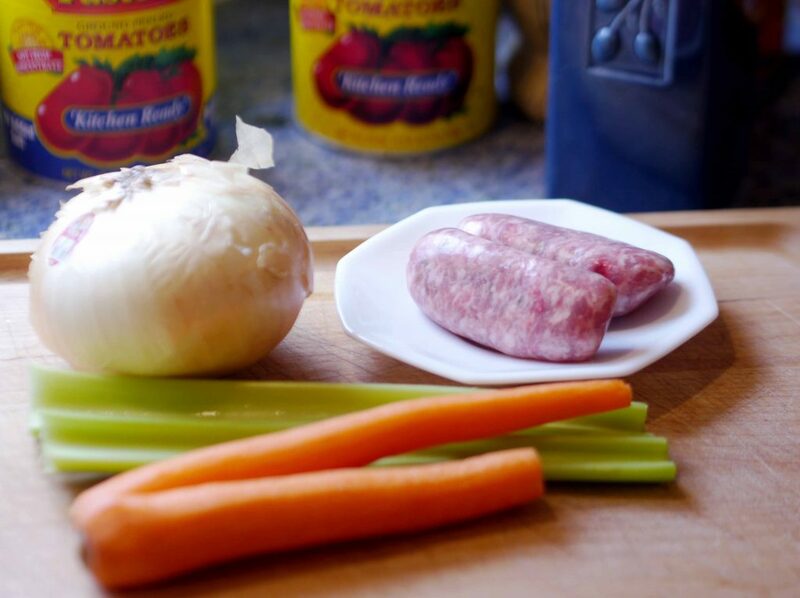 It’s great to use when making chicken, beef or veal parmesan (which I’ll write about later in another post). 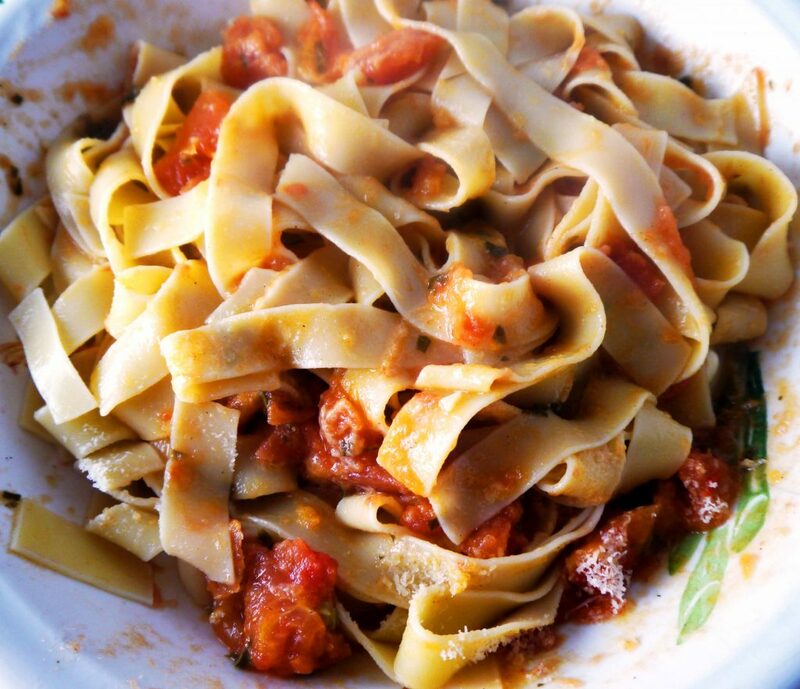 For pasta, I often choose to make a much lighter sauce without the meat. I’ll write about that another time. However, this works well on pasta too. Some vegetables and a little sausage flavor this sauce. Be sure to cook the sausages until they’re done and cook the vegetables until they’re tender before adding the tomatoes. 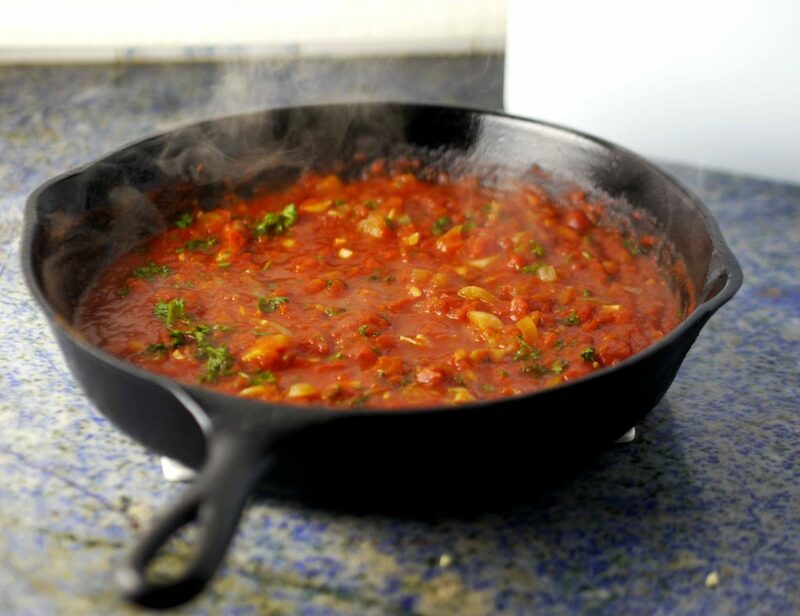 Adjust the heat beneath the pan and continuously stir the sauce so that it doesn’t splatter too much. You also have to be careful about making it too bitter or too sweet. 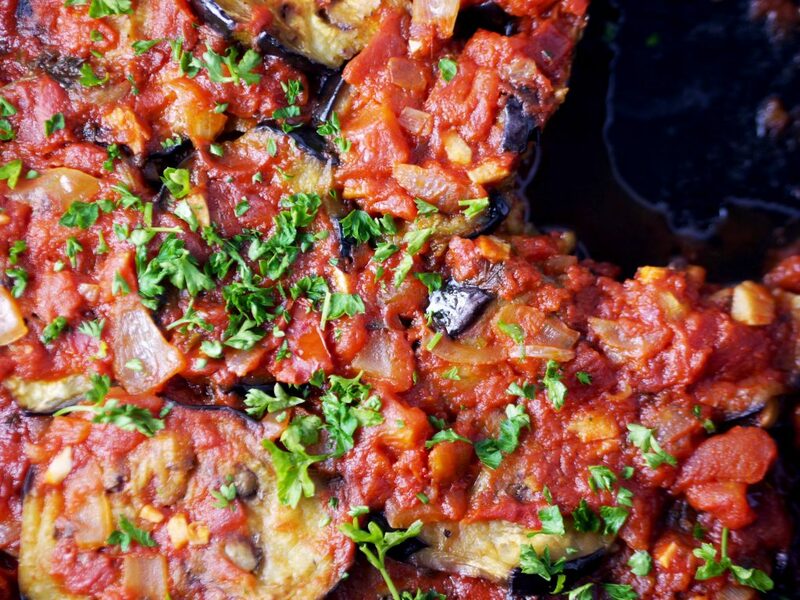 The red wine, depending on what type you use, can make the sauce a little bitter. And if you choose to use carrots, you won’t need to add the optional sugar, as the carrots usually make the sauce sweet enough. 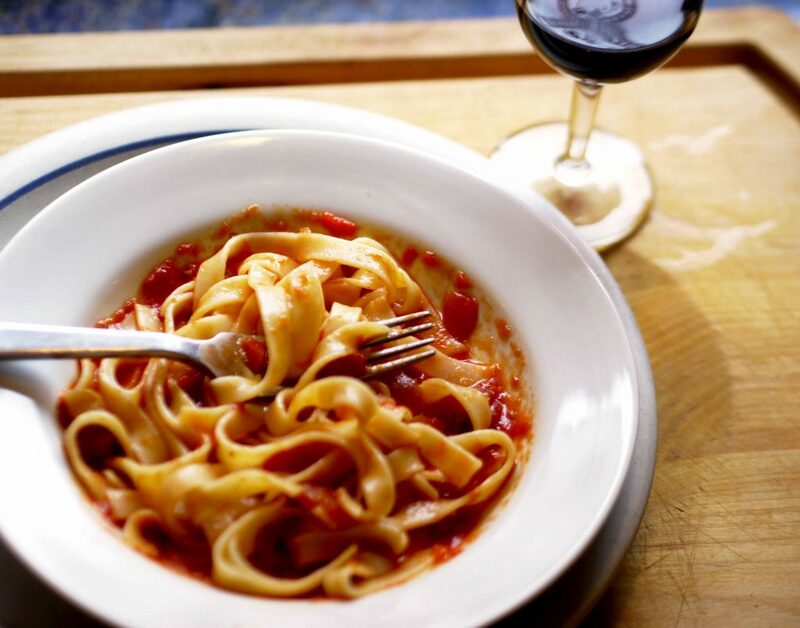 Nothing goes better with pasta than a glass of wine. Cheers! So stir and taste and ask yourself, is it on the high-note side or the low-note side? And then adjust the seasonings as needed. Everyone has their own opinion on what the perfect red sauce is, so use your judgement, make it to your liking, and you can’t go wrong. This is one of my prized recipes. 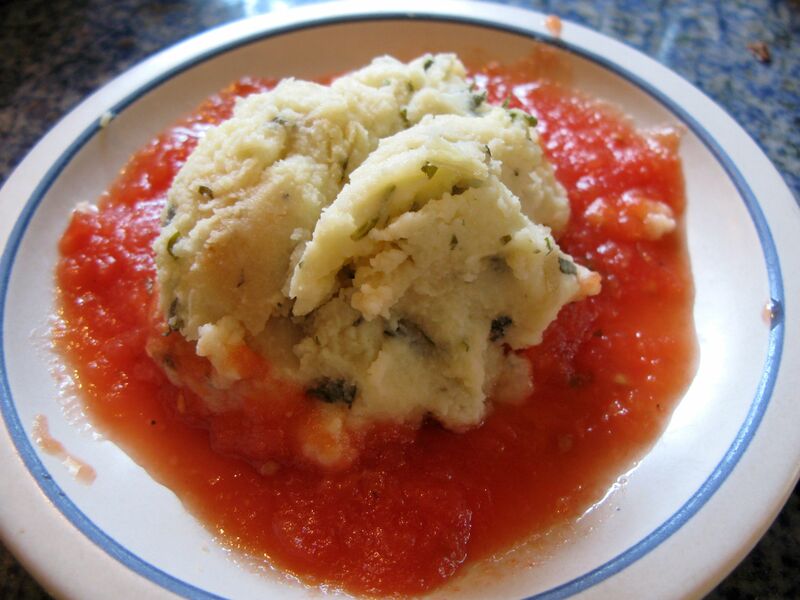 My grandmother, Bruna, used to make this and it was my favorite dish when I was a little boy. I remember sitting at her kitchen table, with a glass of red wine mixed 50/50 with ginger ale (that’s what the kids got to drink). I’d pluck out the little black olives that were covered in a red sauce and stick them on all ten fingers, and then eat them one by one. My fingertips would be hot and then instantly cool as I ate each one. 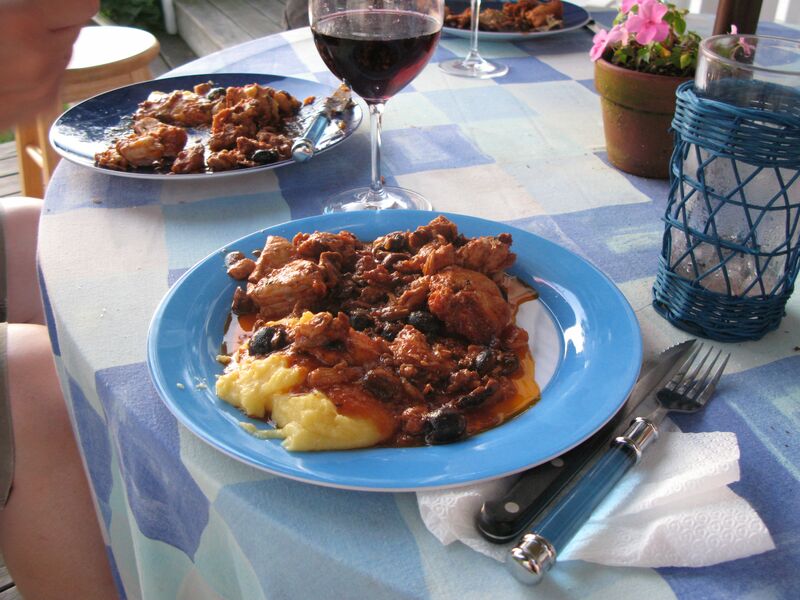 This is what you call peasant food, created in northern Italy where my grandmother learned to cook it. and four bone-in thighs to serve between 6 and eight people. 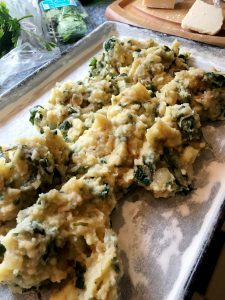 You could also use a whole chicken, cut up, or even rabbit. Step 1 Clean fat from chicken and soak in salted water. Step 2 Boil sausage for about three minutes. Step 3 Fry sausage with chicken, one clove of garlic (crushed), sage, salt and nutmeg in about one tablespoon of olive oil. 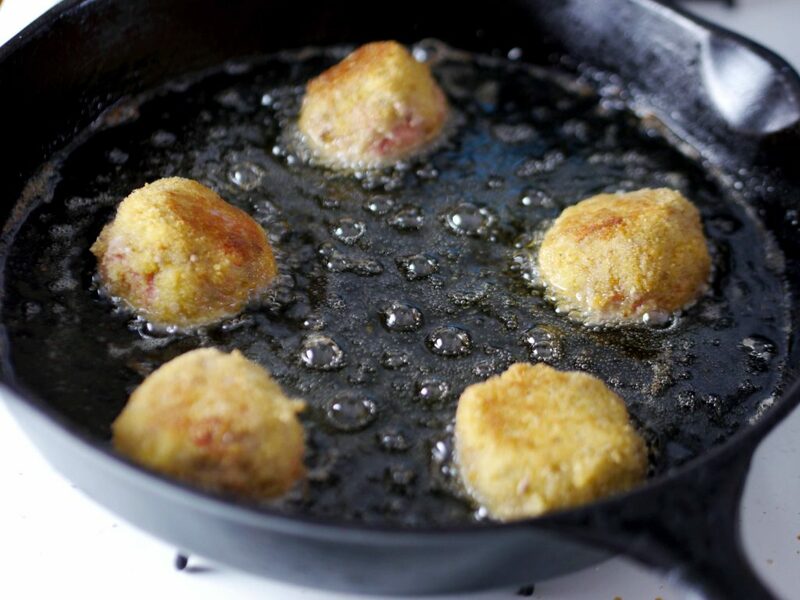 Step 4 Fry mushrooms in about one or two tablespoons of olive oil, with garlic clove (crushed), and nepitella. And then add to chicken. Step 5 Add red wine, pitted black olives, tomato paste and dissolve with water to make a sauce. Step 1 Bring seven cups of water and 1/2 teaspoon of salt to a boil over medium high heat. Step 3 You can either spoon polenta onto plates in a small pile or you can dump the whole pot of polenta on a large wooden board and let it spread out and cool a bit before slicing into rectangles or squares. Step 4 Spoon tomato sauce from chicken dish on top of polenta when serving.